How do you count a people who have no address, no village or town, no house and not even a fixed location? Just provide two zebras and organise an all night party. At least that’s what the Tanzanian Census officials did recently when faced with the challenge of trying to number the Hadza people. It turns out there are about 800 of them still living in the African Rift Valley around the shores of Lake Eyasi in Northern Tanzania. Living the way humans have lived on this planet since our earliest times. The Hadza live by hunting and gathering – moving as a community where the game and roots dictate and erecting their houses of grass and wood within hours. They love to party – all night raves, singing and dancing (especially when the moon is full) are their forte. It’s a very special treat to be able to lie awake at night within earshot and listen to their songs and drums floating across the night landscape of this amazing country. I have been here in Tanzania with my family for seven years now, teaching at the International School Moshi’s Arusha Campus, under the magnificent volcanic, Mount Meru. We came after eight years of teaching in Bradford’s Upper, Middle and Primary schools and though we had enjoyed our teaching there, it is hard to compare it with the delights of teaching in an international school in a place like Tanzania. It’s impossible to live and work here and not be affected by the people and cultures of this country. The fact that the Hadza are out there now, doing what they’ve always done and that the Maasai (500,000 of them in Northern Tanzania and Southern Kenya) are still keeping firmly to their traditions, despite many attempts to drive them out or change them means that we have access to social structures and ways of bringing up children that don’t exist any longer in ‘the West’. We are also affected daily by other Tanzanians, many not living such traditional lifestyles but wonderful people, known for their friendliness, respect and empathy. (They even have an empathetic word here, ‘pole’ , pronounced pole-ay, which is untranslatable directly into English but which signals empathy for someone else who may be working hard, worrying, returning from a tiring journey, or just looking fed up. It’s an important social lubricant). And then of course there’s the wildlife – vast tracts of unspoilt natural parks – without fences or tarmac – where you can just drive around and again be reminded of how things once were. But it’s the most up to date ideas on how humans learn that excite me tonight as I write this, perched on the rim of the spectacular Ngorongoro Crater, 4,500 feet high, 12 kilometres across and home to more animals than Noah could fit in his Ark. We recently had a visit to our school from John Abbott, ex-Headmaster turned thinker and synthesiser of research into how humans learn. His ideas and proposals have now been around for a number of years but as he continues to weave his magic through over a hundred talks a year around the world, more people are beginning to see the sense of what he is saying. Certainly his ideas are echoing around Arusha this week amongst those who attained his talks -and even those who have only heard second hand. Around 200 people from many sectors of the Arusha community attended the lecture and listened intently as Mr. Abbott outlined the latest findings, gathered from brain research and the new evolutionary sciences, on how humans learn. 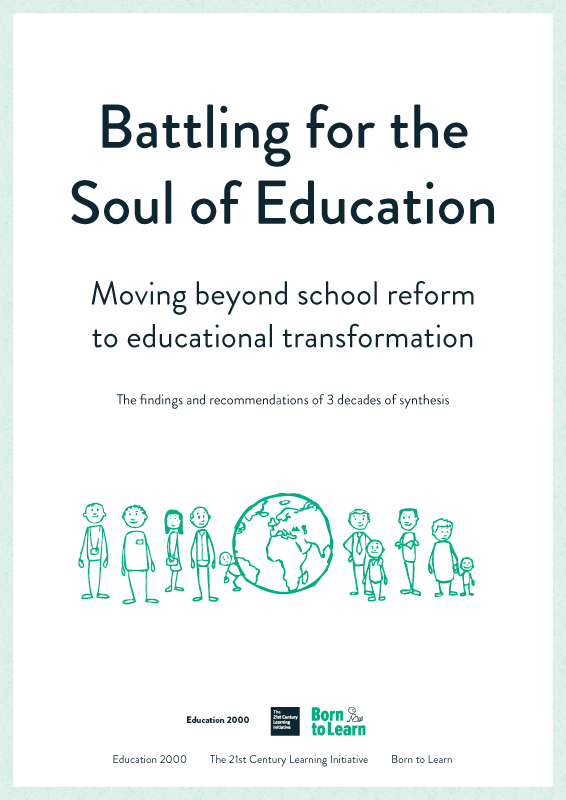 “It now appears” he said, “that we are on the verge of an exciting era – one in which we may have the capacity to formulate a clear understanding of the optimum conditions for learning.” He questioned, at a deep level, current approaches to education, which he claims are now outdated. “We humans have been using our brain to learn for several million years. Learning is not dependent on schooling. Maybe the very institution of school is now being sidelined by our deeper understanding of how humans learn.” These ideas resonated strongly with the listeners, some of whom have directly witnessed the ways in which the Hadza people, only a few hundred kilometres away, continue to raise their children within a learning community. As well as local educators, safari operators, missionaries, officials and parents there were a number of students present at John Abbott’s presentation. “I liked what he said,” commented one student, “It made sense and it was a different perspective to what we usually hear.” That sentiment has been echoed by many over the past few days. People are keen to talk about what they heard and what it might mean. Although many may have taken a different view on what they considered significant, they do all seem united in the feeling, expressed by the student – “It seems logical – it makes sense.” If some of the most radical ideas on overturning our current approach to teaching and learning can “make sense” to such a wide audience, then perhaps it means that, somehow, somewhere, we know there must be a better way. For so long now we have followed the system of schooling created to deal with the industrial age, but now times have changed and we have a chance to change the way our children will learn to respond to the demands of the future. John Abbott’s overall feeling, despite the darkness that surrounds much of human activity on this planet at present, is optimistic. He pointed out that the capacity for humans to learn from and adapt to their environment is unparalleled in nature. “The eventual choice depends on what kind of education you believe our children deserve – and that really has to be a matter of faith. The decision could go either way – Battery Hens or Free Range Chickens? One way is difficult and time-consuming. But could release the phenomenal ability latent in so many people. The other, the one we could too easily drift into, could lead to a new form of Dark Age – full of consumable goodies, but empty of soul.” John Abbott’s magic was ultimately in his ability to underline the urgency of the need for change whilst inspiring his listeners with a hope filled perspective, leaving us not just nodding in agreement but also asking questions about what all this means and what we can do to help. Next: Making the Connections, and Closing the Gaps – Is it really that hard?